Tonight Kay is joined again by special guest, Stan Deyo. Join them as Stan takes us with him on his exciting quest to find the Garden of Eden. It does exist. It didn't just disappear when God banished Adam and Eve from the Garden of Eden. Links are listed below for you to follow along and actually see what Stan is talking about. Also tonight, updates on exactly what is going on in the Middle East and how it affects all of us. The Pope, the anti-christ are discussed also and much much more. ... See More Definitely an exciting broadcast you don't want to miss! So, grab your coffee, your Bible, kick back in your favorite chair as Kay and Stan Deyo take you back in time on this incredible journey! PodKicker, ITunes, Twitter, Google+, SoundCloud, Instagram and Tumblr. By subscribing you will receive notification each time new content is uploaded. Please don't rely on FaceBook to hear Kay's broadcast. They have already blocked her twice from posting Deception Detection Radio with Kay and are no longer reliable to share the Word of God. 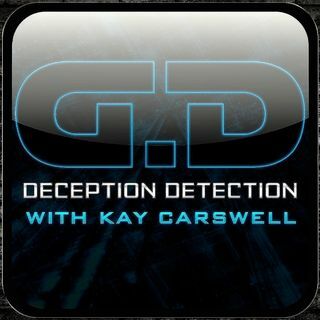 If you would like to contact Kay directly you can write her at DeceptionDetectionRadio@yahoo.com Drop her a message, she enjoys hearing from listeners and will answer your emails. Thank you and God bless each and every one of you! I agree with you, Lynn Jacobs, Thy K8ngdom come. I believe when the real anti-christ comes God will let us know. Our discernment should be screaming out when that day comes. Btw I did do an interview with Daniel Duval awhile back.